Thanks to ECU’s partnership with Sculpture by the Sea, there are excellent opportunities for Visual Arts students to gain practical experience including artist-buddy relationships, professional placements and an on-campus exhibition. Sarah Cheers is one student who will benefit from ECU’s sponsorship of the event, securing an internship at Sculpture by the Sea and the opportunity to show her work in the Sculptures Inside exhibition. Sarah’s internship was tailored to meet her course requirements and interests, enabling Sarah to gain curatorial skills and arts management experiences for her future. 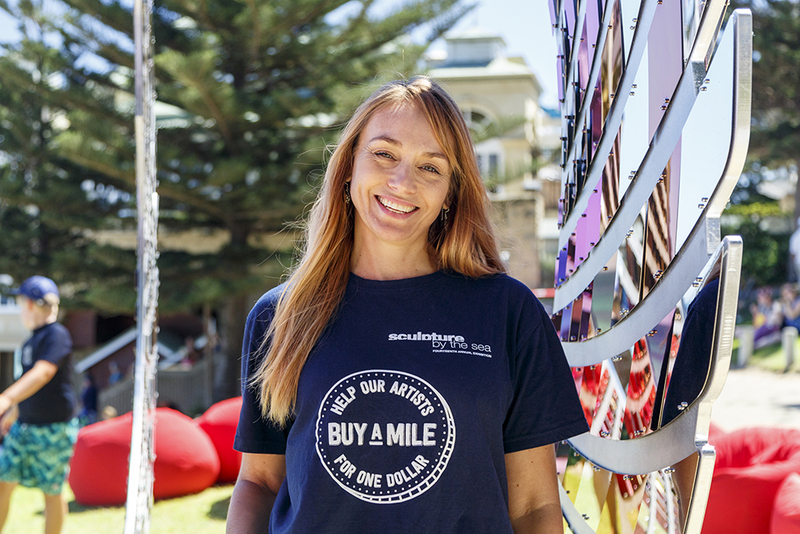 Sarah has been able to be part of both the indoor and outdoor aspects of the exhibition, allowing her to experience first-hand the operational aspects of staging an exhibition of Sculpture by the Sea, Cottesloe’s scale. “I feel incredibly fortunate to have such great mentors and teachers around me during this time which will prepare me well for a future within the industry,” Sarah said. Another ECU Visual Arts student who will be exhibiting at Sculpture Inside is Olivia Colja. Olivia has been undergoing a mentorship with Sculpture by the Sea, Cottesloe 2018 exhibiting artist, Denise Pepper. An arrangement that allowed Olivia to visit Denise in her workshop as she prepared her sculpture ‘Waiting in the Wings’ for the Cottesloe exhibition. This inaugural student-artist buddy relationship culminated with Olivia receiving 1:1 glass sculpture casting instruction from Denise. Of course, it’s not just ECU students taking part in Sculpture by the Sea. ECU graduates are regularly involved. The full list of graduates exhibiting at this year’s exhibition include: Olga Cironis, Sherry Paddon, Denise Pepper, Tom de Munk-Kerkmeer and Sally Stoneman.